Global chief marketing officer (CMO) at Siegel+Gale, a leading global strategic branding firm. I enjoy fashion. 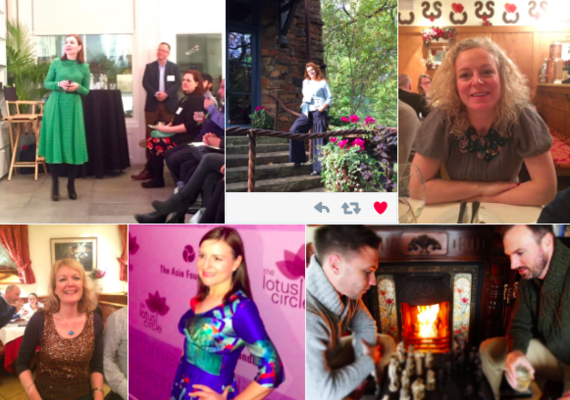 I enjoy exploring the possibilities of social media for brand building. And I'm Irish. This March, I'm combining all three passions in an effort to showcase Irish fashion. And I invite you to join me on this pilot. March is a special month to shine a light on all things Irish. No other country in the world owns a month. I'm aiming to put a spotlight on Irish designers by wearing Irish fashion, jewelry and accessory brands in the run up to Saint Patrick's Day. I plan to post a picture daily on Facebook, Twitter and Instagram with the hashtag #WearingIrish. I'm inviting everyone to join in. I recently set out to buy a few items of Irish fashion and I was astounded by what I learned. The creativity of many Irish fashion designers is breathtaking. The quality of the product is often world class. The variety is unexpectedly great. But the biggest revelation of my personal hunt was that the awareness of modern Irish fashion brands and the Irish fashion industry as a whole is very low, even among people who love fashion. This is a pity. I see an opportunity for everyone who is both a fan of fashion and a fan of Ireland to come together, using social media, to support Irish designers. Imagine the possibilities if all fans use our influence to spread the word by posting the pictures that show how wearing Irish fashion is a choice we are making. 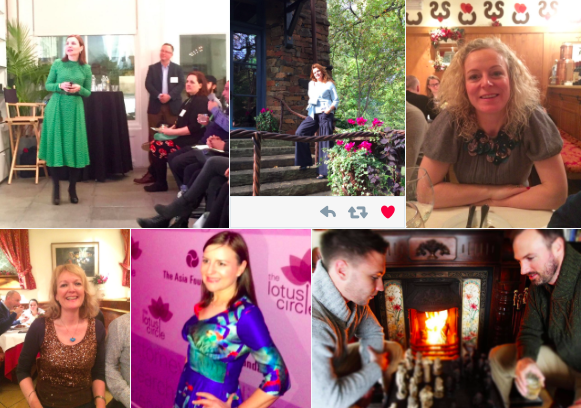 My vision is to make this 2016 pilot a broad movement in the coming years with women and men globally wearing Irish and posting pictures in March. Now is the chance to demonstrate your love of fashion and your appreciation of Irish design. Wear Irish in March and post your pictures on your preferred platform Facebook, Twitter or Instagram using hashtag #WearingIrish. Commit to posting once or many times during the month. Dress head-to-toe in Irish fashion or pick one item or accessory to celebrate. Go casual, work wear, party, occasion, traditional or contemporary. The idea is that you are wearing Irish without compromising your style. While some people are fashion models, we can all be role models. Channel your inner stylist. It's about real people making wearing Irish fashion work in real ways. 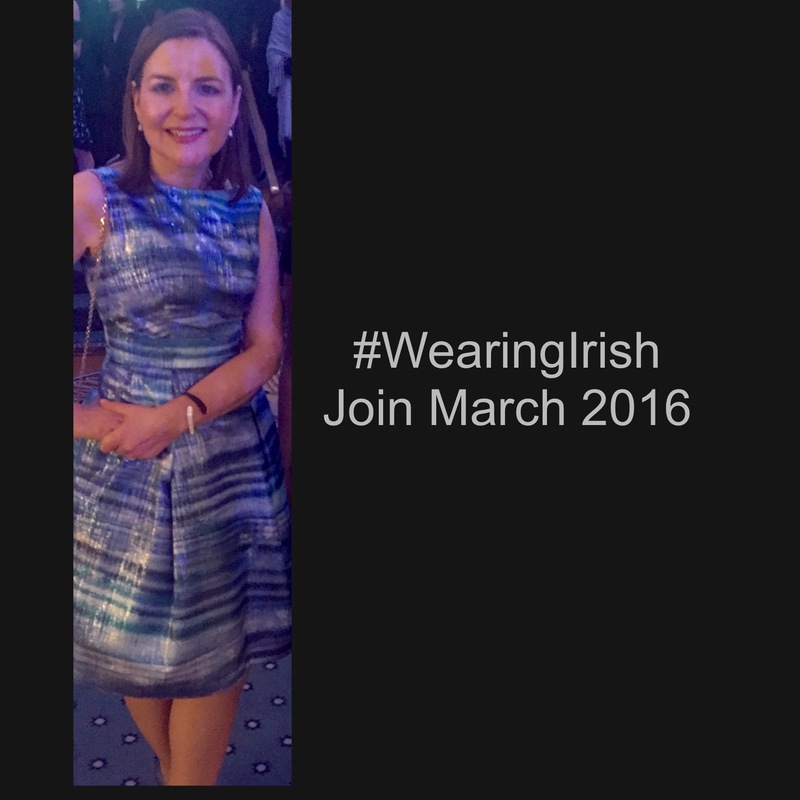 And if you can't join, please consider spreading the word about #WearingIrish by amplifying the initiative on social media. A tweet, a like, a comment are great contributions. Once March is over, I'll report back the lessons from this pilot in another post.